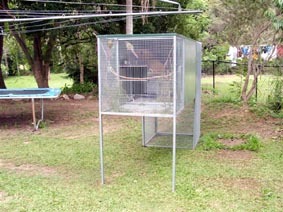 Suspended aviarys are a very popular type of cage. 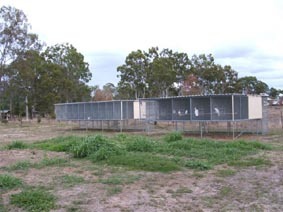 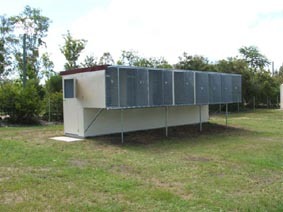 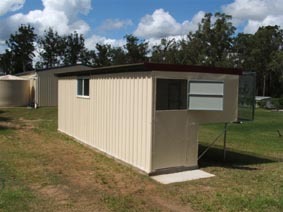 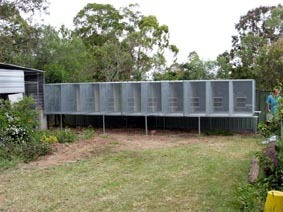 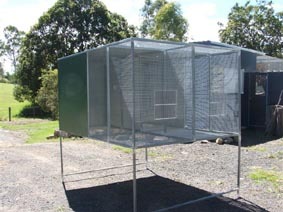 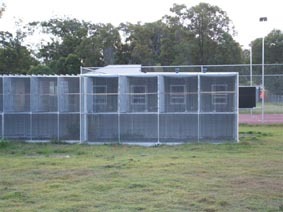 As they are cost effective to build compared to the standard walk-in aviary. 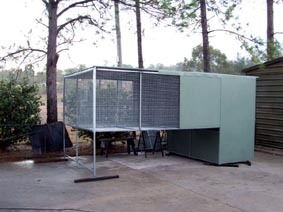 Suspended aviarys can be built from a simple 1800 X 900 X 900 single cage to large multi-cage complexes. 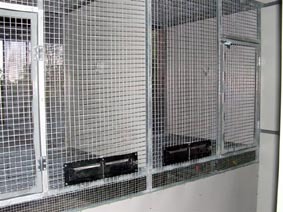 All cages have double wire petitions. 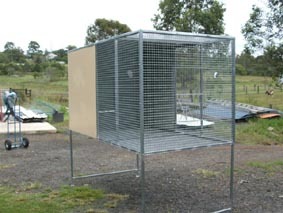 Solid petitions available upon request. 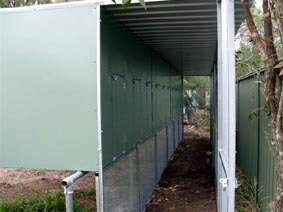 Safety walkways can be supplied with all suspendeds. 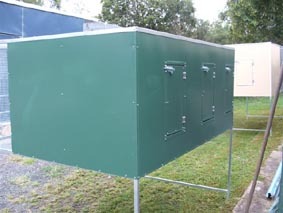 Full roof or part wire supplied. 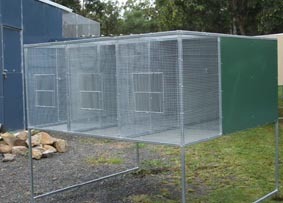 Suitable for birds from Finches to Macaws.